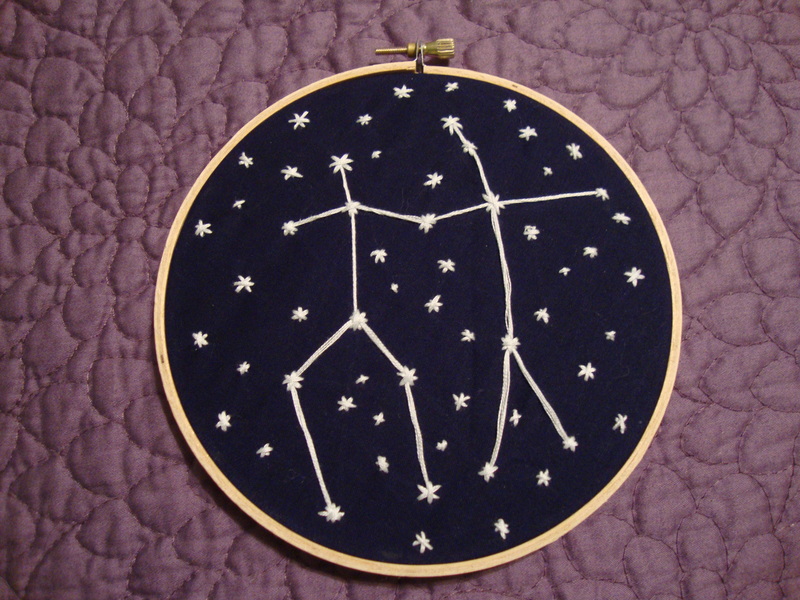 I worked at a camp this summer that opened my eyes to the different, cultural stories about the constellations in the night’s sky, and I quickly became obsessed. 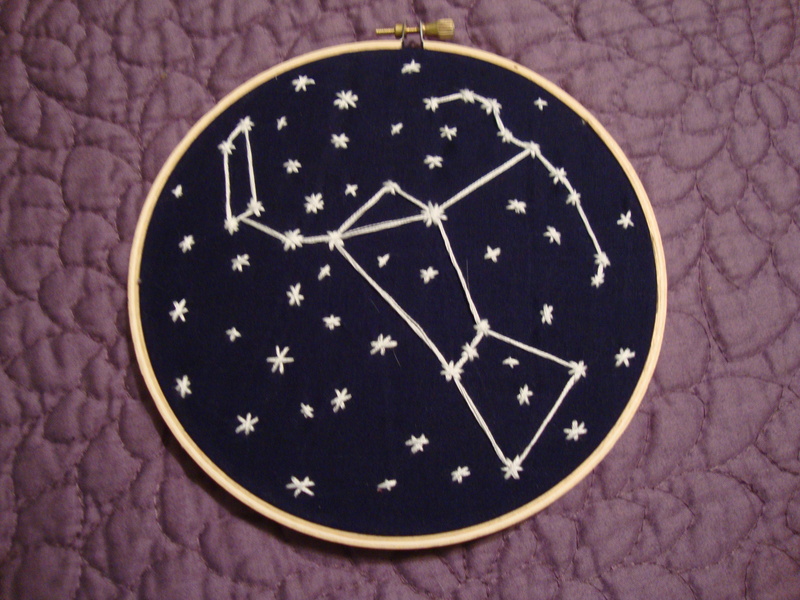 This idea of embroidering a constellation has been floating around my head for awhile now, and it took a simple swatch of navy blue fabric in the clearance bin at Hobby Lobby to put my thoughts into action. 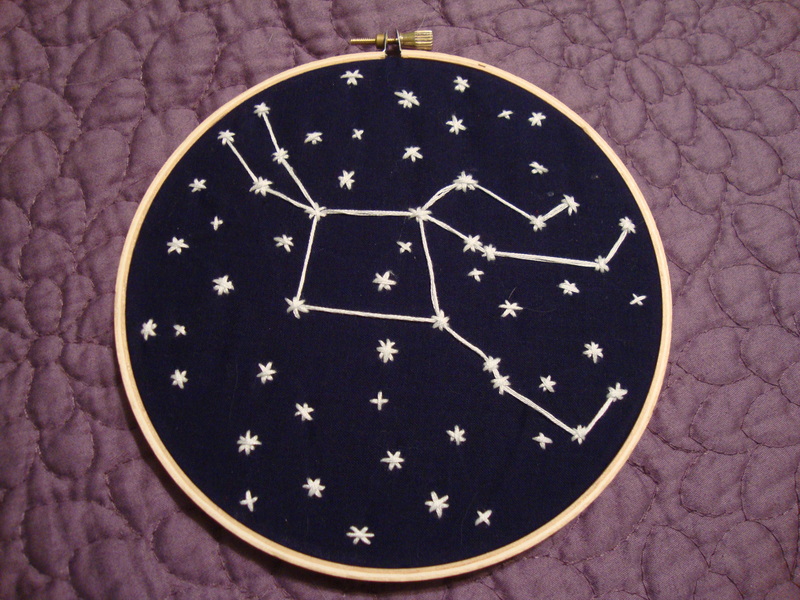 I cut out navy blue felt to cover the back side of the embroidery and added the name to the constellation for any clarification that might be needed. 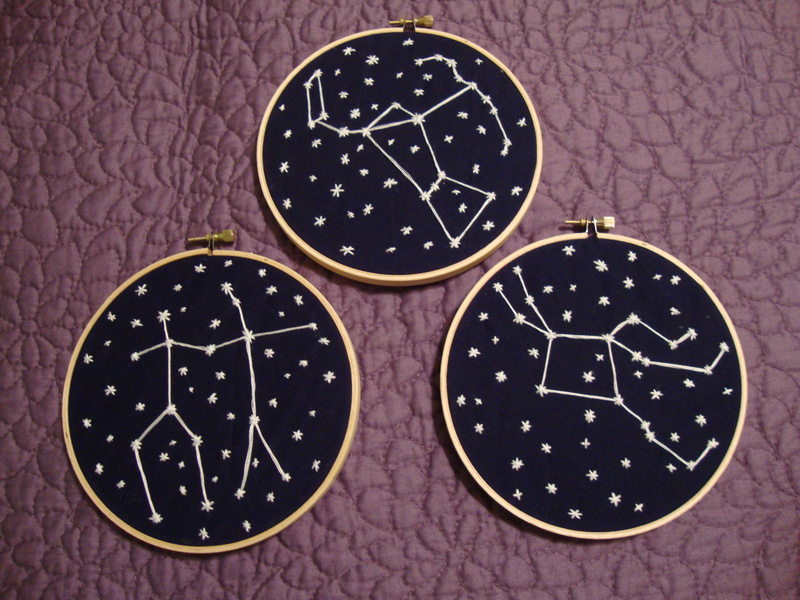 I love how simple this project was, and after I get some nails in the wall, it’s going to look adorable in my green bedroom. 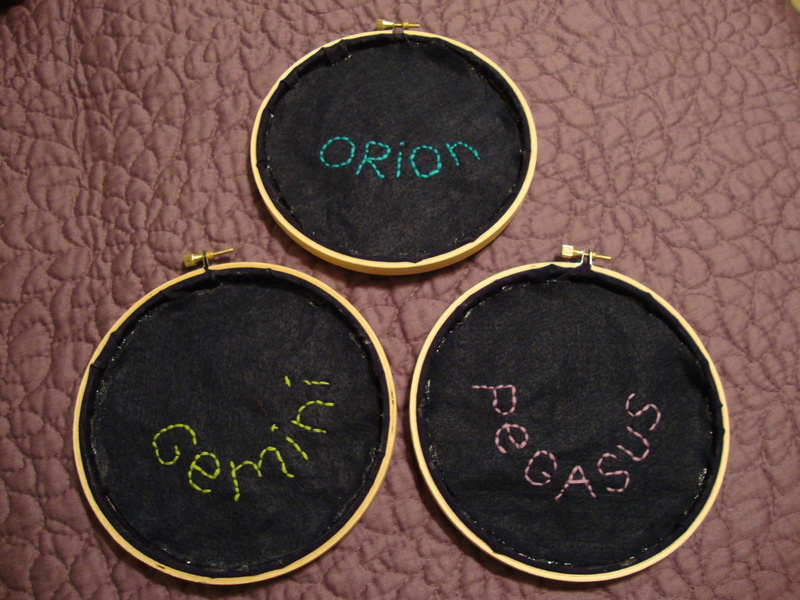 This entry was posted in DIY Projects, Embroidery Projects, Home Decor, My Favorite Things and tagged constellations, embroidery, Gemini, Orion, Pegasus, stars.